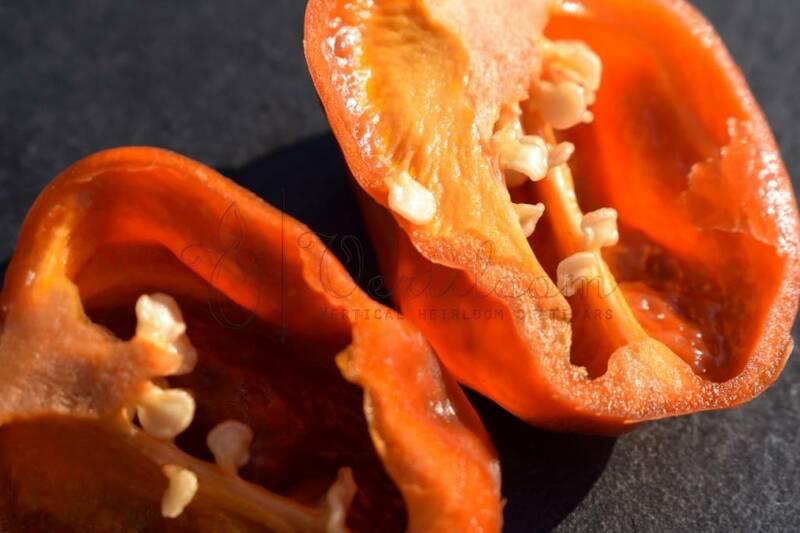 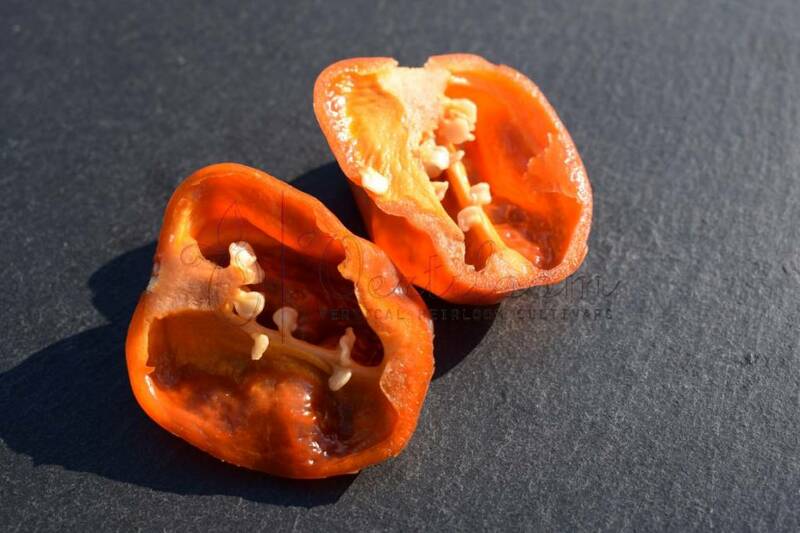 Very hot habanero type, ripens from green to light brown/red. 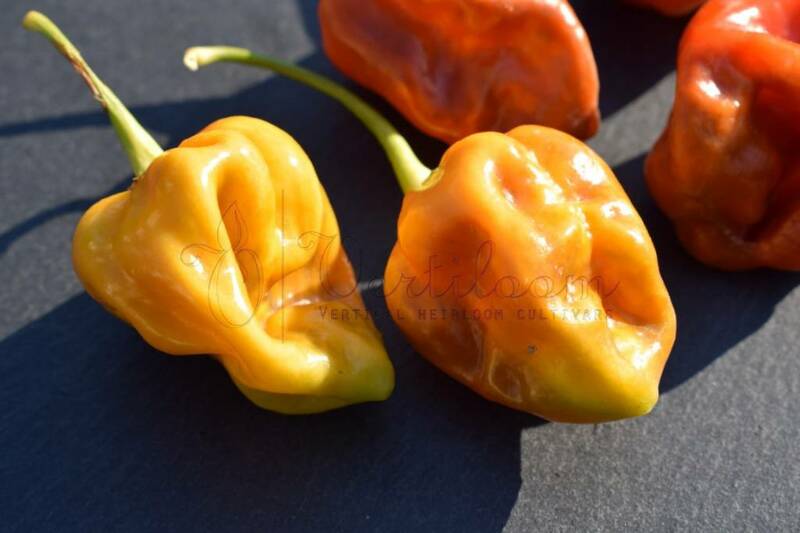 One of the best tasting habanero’s out there. 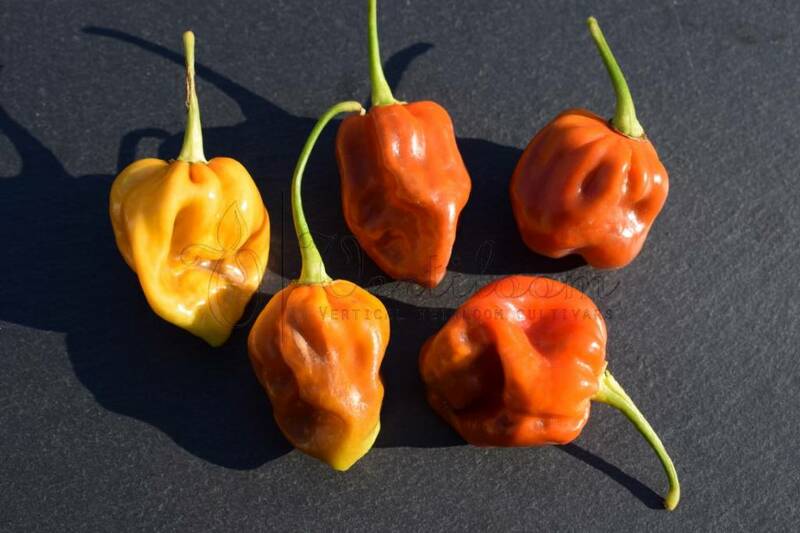 Very good producer and easy to grow.